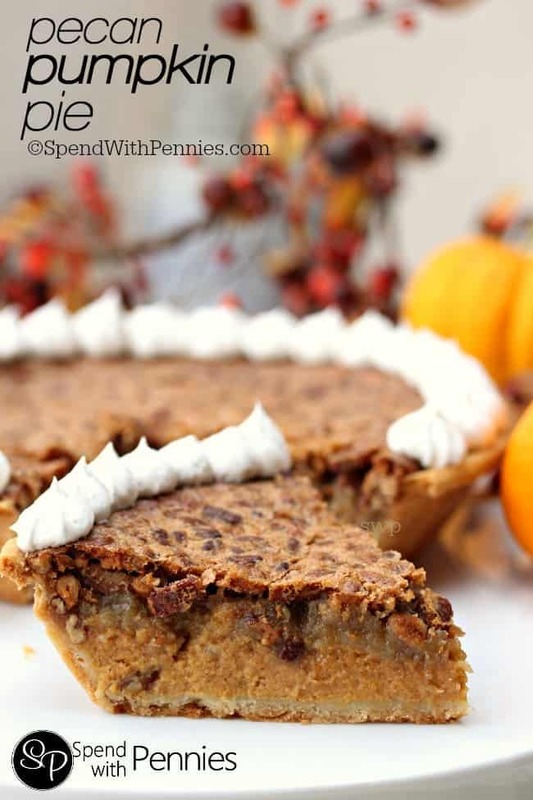 This Pumpkin Pecan Pie starts as a delicious pumpkin pie, and is then topped off with my favorite pecan pie recipe! The result is the perfect ending to any meal!! Fall feasts often end with pie! The choice is usually pumpkin or pecan…. and finally, I thought… Why Choose??? Why not have both! 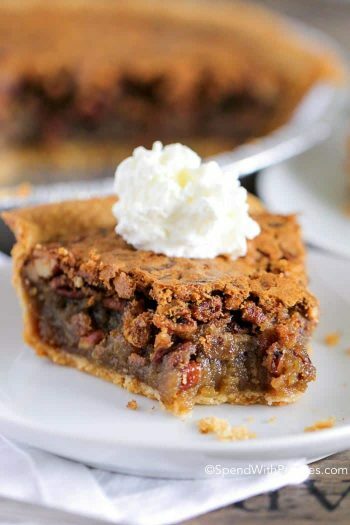 This pie starts with a delicious pumpkin pie recipe and is then topped with my favorite pecan pie recipe! 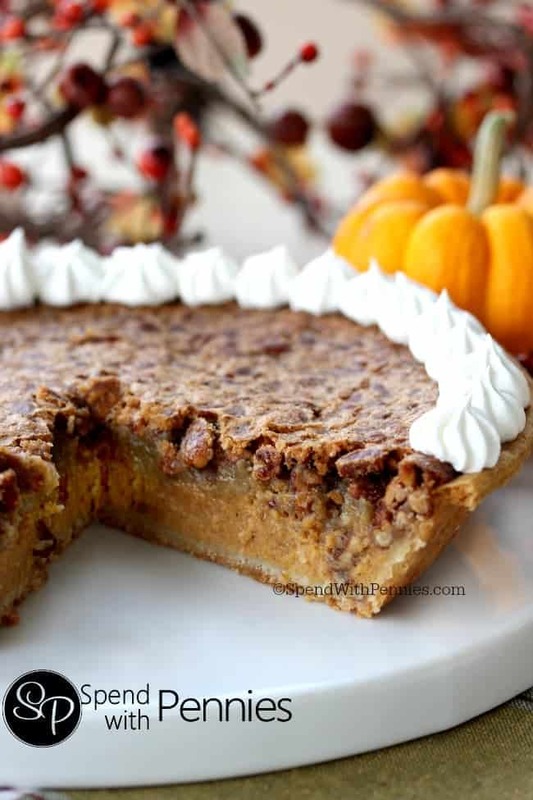 The result is a simply perfect Pecan Pumpkin Pie! 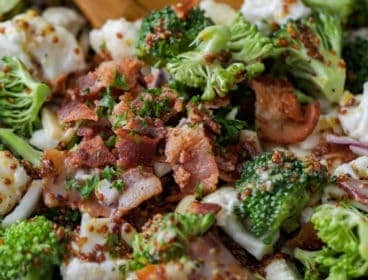 Keep in mind this is a large recipe and makes two deep dish pies! Combine pumpkin, 3 egg yolks, 1 egg, sweetened condensed milk and pumpkin pie spice. In a separate bowl, combine brown sugar, melted butter, 2 eggs, 2 egg yolks, flour, vanilla and pecans. Set aside. 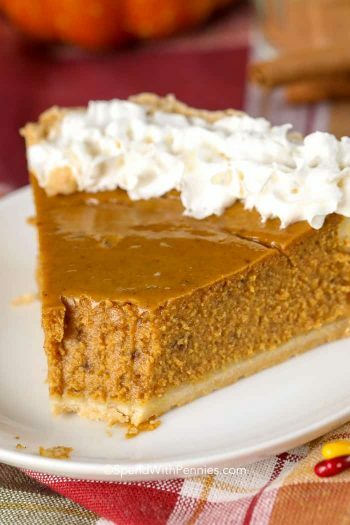 Divide the pumpkin mixture evenly between the two pie shells and place in the oven for 15 minutes. 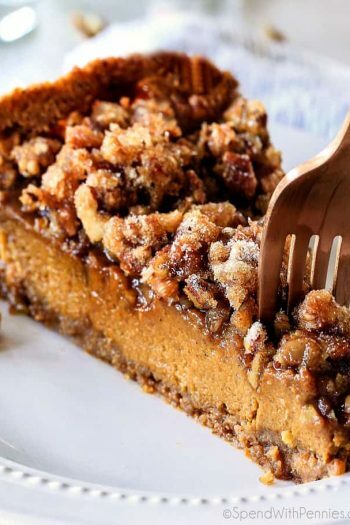 Remove from the oven and gently spoon the pecan filling over top of the pumpkin (do not pour it) dividing between the two pies. Cover the edges of the crust with foil or a pie crust shield. 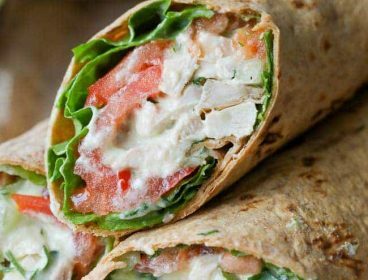 Reduce heat to 350 degrees and cook an additional 35-40 minutes or until set. Cool completely and top with whipped cream. Just wondering if i can just use fresh pumpkin puree as i am in Australia and haven’t seen canned pumpkin?? 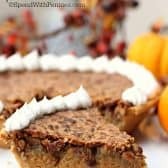 Best pumpkin pie recipe ever! My husband ate about half of one in one setting! 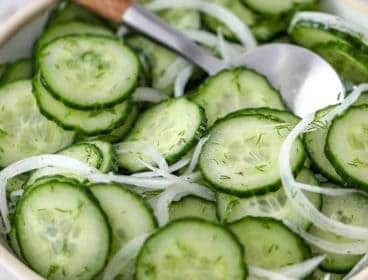 Absolutely mouth watering! Thank you for sharing. Should have been 5 stars, not sure why only 3 should highlighted? We are so glad you enjoyed this! :) It’s such a delicious pie! 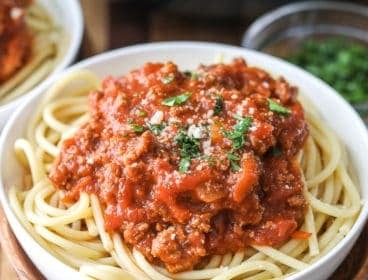 Hello, this recipe looks wonderful! 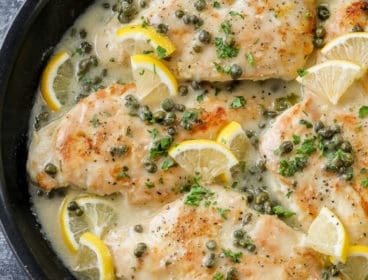 I’m looking forward to making it just need to reduce the recipe. If I want to make it for just one pie can I divide everything in half? 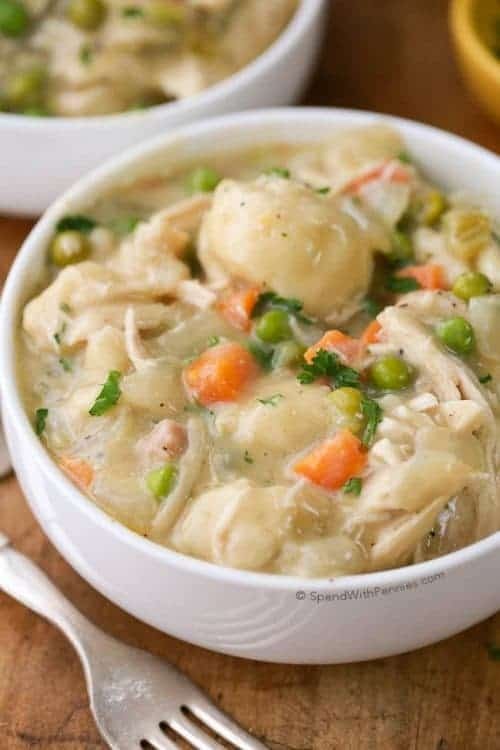 Love the recipes…they are really excellent everyone I’ve done. Thank you guys…. I’m so glad you’ve enjoyed them Jennifer! Do you use pumpkin pure or pumpkin pie filling? 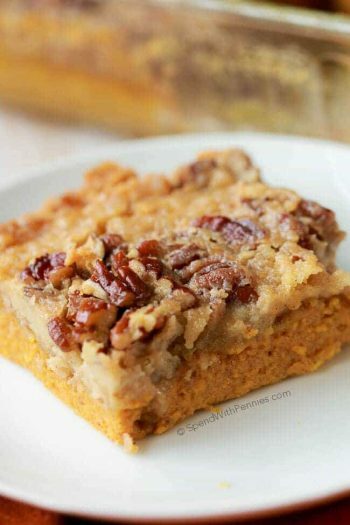 This recipe uses Pure pumpkin. 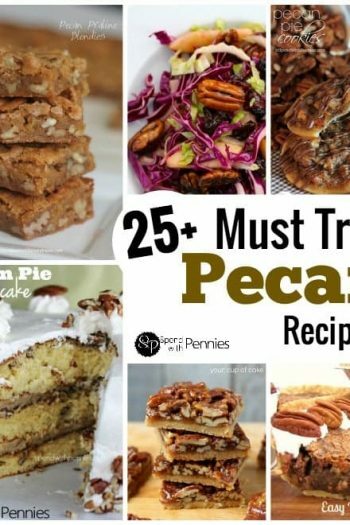 We love our pecans in the South this is a winner! 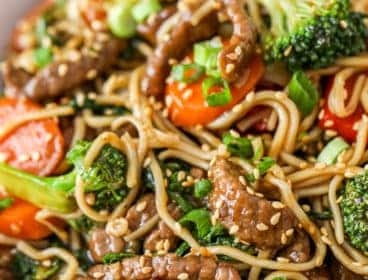 I fell in love with this recipe I wanted to try it. I went out yesterday and bought all the ingredients and made it today. I have to say it came out beautifully. I just wish I would have purchased some whip cream which I totally forgot about lol. Can’t wait to try other recipes I’ve saved in my phone. I also made the garlic biscuits for dinner with our wings and they are all gone. I’m so glad you enjoyed it Sharon!